Francesco Rizzato reviews Yongnuo's YN600EX-RT Speedlite and YN-E3-RT trigger, both compatible with the Canon 2.4GHz system. Are they any good? Since this is my very first review here I will start by introducing myself. My name is Francesco Rizzato and I am a portrait and fashion photographer based in Munich, Germany. You can find more about me on my website or on my Facebook page. When I was asked to review the speedlite flash YN600EX-RT and the remote trigger YN-E3-RT I had mixed feelings about it. In fact I am not a big fan of speedlites and I had not used one in a very long time; also, the first experience I ever had with a Yongnuo device (YN560-II) was not very good, as at the time the unit I got was defective. Nevertheless, as the most photographers do, I started my flash photography using speedlites and got quite excited at the idea of trying one once again. So over a few weeks I took flash and trigger to all my shootings and I used them every time I could; now I would like to share my impressions with you. Already now I can tell you that I ended up remembering that flash photography is not all about strobes and that in fact speedlites have their very legitimate uses (besides saving your back from carrying heavy loads of gear). After unboxing the items I was very pleased with them as the built quality is very good, especially compared to the older Yongnuo YN560-II. Flash and trasmitter feel very solid, the displays are nicely illuminated and easily readable and all buttons are firm. Only on my flash unit the main selection button oddly rotates on itself but this does not bother me at all and I am not even sure if it is a defect or if it supposed to be like that. The first impression when handling these units is that they have nothing less than premium devices, apart from the price. In fact, at the time of writing, in Germany the YN600EX-RT can be found for less than 200 euro, while the Canon 600EX-RT (which has very similar features) costs more than 500 euro. I was so pleased with the built quality that I had to check twice that the units really did not have any premium brands stamped on them. 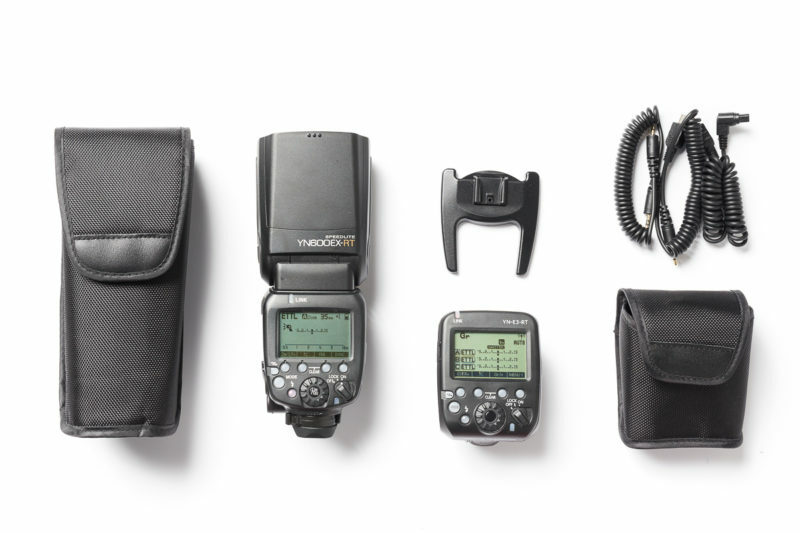 Besides, the units are fully compatible with the Canon radio signal, which means they can be paired with the Canon 600EX-RT speedlite flash and the Canon ST-E3-RT remote trigger. The only feature I felt was missing is just the possibility to set the flash’s zoom remotely with the trigger. Not a big deal, but if you like to change zoom settings frequently this may be an issue for you. In a nutshell, you get all the features that you would expect from premium gear. Not much to test here, a flash is a flash and a speedlite is a speedlite. From this flash you will get exactly what you expect: a very fast and bright blink of light. To be very fussy the flash’s GN declared by Yongnuo is 60 but my tests indicate that the power is the same as the older Yongnuo YN560-II, whose declared GN is 58. Anyways GN declaration are known to be not always 100% accurate, or it could also be that just my units are like that. As a comparison, here I got 2/3 of a stop more power than from my Canon 430EX-II, whose declared GN is 43. Recycle times are also very fast; at full power even slightly faster than the 3 seconds declared by Yongnuo! 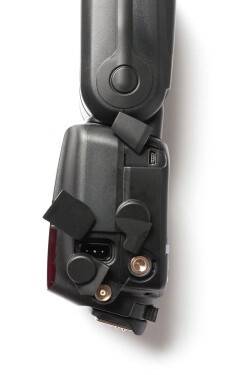 No real reasons to complain here, with the YN600EX-RT you get plenty of power for a speedlite. Here my feelings are mixed. Flash and trigger are easy and fast to pair, the connection is stable and reliable and you have no issues triggering the flash from a distance, even through walls or in bright light. But all of this is true only while THERE IS a connection… Unfortunately the connection between flash and trigger broke a few times quite randomly during usage and would not be automatically reestablished. This may sound worse than it really was and in fact, with one exception, the issue arose only right after swapping batteries in the flash. I then found out that the radio channel got changed by itself, thing that can be adjusted in seconds. The happy end to this is that I then upgraded the firmware in the trigger (a great feature introduced by Yongnuo, although the upgrading process is quite erratic and in fact I was not able to upgrade the flash in spite of several attempts) and since then I did not experience the issue again. By the way, be aware that the firmware upgrade currently works only on Windows. Obviously one of the nicest features of these items is that they are compatible with the Canon radio signal, as already mentioned. But unfortunately they are not compatible with other Yongnuo products (like the ever popular YN622 triggers… I know you wanted to ask that!). Yes, this is very annoying but no, it is not because of some evil manufacturer’s decisions; these new products use a radio signal that is simply not compatible with the older products’ (non-radio) technology. Interestingly, it seems that Yongnuo is going to introduce receivers that will allow any speedlites (and possibly also strobes) to receive this radio signal! For more info check this page. On a side note, I did have the feeling that this radio communication technology is more reliable than the one used in the YN622’s, but to be honest this is an unfair comparison as I use the YN622 triggers to fire different brands of strobes (did I mention how much I love strobes? ), while I used the YN-E3-RT trigger just to fire its brother speedlite. Purchasing this trigger and speedlite is a good choice if you want to work just with radio speedlites (either from Yongnuo or from Canon). If instead you want to be able to control several different flashes you may want to wait and check the upcoming Yongnuo radio receivers. I was able to operate the flash and use all the functions that I needed without the need to read the instruction manual (who likes to read instruction manuals?). You may need to spend some time looking for some uncommon functions, that are even more uncommonly used (at least by me, things like storing presets or changing the battery saving timer), but in general menus and options are self-explanatory and easy to use. Granted, I would have some improvement tips (for instance a dial, or two buttons, dedicated to just adjusting the flash power would be neat, rather than having to pre-select the relative function every time you want to do that) but this is a lot about personal taste too. Much less about personal taste is a trouble I had with the flash several times randomly showing the overheating error message, straight after turning on the unit; turning it off and then on again immediately solves the problem. To be fair, a newer firmware may have solved this issue (as mentioned I was not able to upgrade the flash), which anyway is negligible when not working under time pressure. Again, my impression here is that the units work very well WHILE THEY WORK but, not to lack fussiness, they are not always totally reliable. I would not think twice about taking them to a test model shooting or to a leisure trip, but I would be a bit hesitant to use them for event photography or when shooting next to a client or with a large team. If you asked me if I enjoyed using the Yongnuo YN600EX-RT and YN-E3-RT I would answer positively. If you asked me if I will use them again (in spite of my wonderful strobes jealously waiting for me in my studio) I would answer positively. If you asked me if I would recommend them I would answer “it depends” and, as often the case is, it depends on who you are. For simplicity sake I will assume that you are in one of three categories. Congratulations! This gear is perfect for you, go on and buy it, you will not regret it and you will save a lot of money rather than buying some premium equipment. Sometimes you may have to spend some very short moments figuring out what’s wrong with the units (or if you are lucky enough maybe that will never happen to you) but this will never get annoying (well, depending also on your patience limits). Although I do not see any major reasons why you should not buy these products (especially if you manage to upgrade their firmware) I am hesitant to recommend them to you. There is not such thing as a free lunch and there is a reason why the price tag on premium devices is so much higher. In fact premium devices are usually more reliable and durable and you do not really want to find yourself struggling with inoperative gear in front of your clients or your team. Moreover if you are a professional who uses speedlites, chances are that you are are shooting mostly events and weddings; well, if I were you, I would probably gladly pay a higher price for the peace of mind of minimizing the chances of me asking a bride to wait for a minute during her wedding. Granted, also premium equipment breaks down and also professionals need to invest money carefully, so if you do decide to buy the Yongnuo devices I won’t blame you, promised!